With royalty and celebs donning gemstones as their choice in both engagement rings and fashion accessories – it’s no wonder more and more women are opting to wear vibrant and bold gems as their preferred stone rather than the traditional and subtle white diamond. Although gemstones do not possess the classic appearance of the white diamond – and may not be as easily paired with other jewelry – gems are certainly a stylish and fun way to bring some flair and vitality to your overall look. If you’re considering investing in a vivacious gemstone, make sure you select a gem based on a colour that not only complements your everyday palette but also enhances your overall look. Do not base your decision on the popularity of a gemstone, as you want to make sure you find a hue that really works with your sense of style. Make sure you choose the stone based on your lifelong love affair with its distinct colour, and the fact that you can see yourself wearing the piece of jewelry for many years to come. When it comes to gemstones, an instant upgrade in style is not the only reason to opt for a colourful stone over a diamond. Gemstones are the more affordable option. This means you can get a much larger stone, and for considerably less than what you’d pay for a diamond. Keep in mind, not all gemstones are priced equally. The more popular gemstones, like Sapphire and Morganite definitely come with a heftier price tag than their less sought after counterparts like Peridot and Iolite. Generally speaking, the blue hued stones and blushing pink gems are the ones that are going to require a significant loosening of your purse strings. If money is an issue, there are still ways to find a budget-friendly blue hued or pink gem that you’ll love. 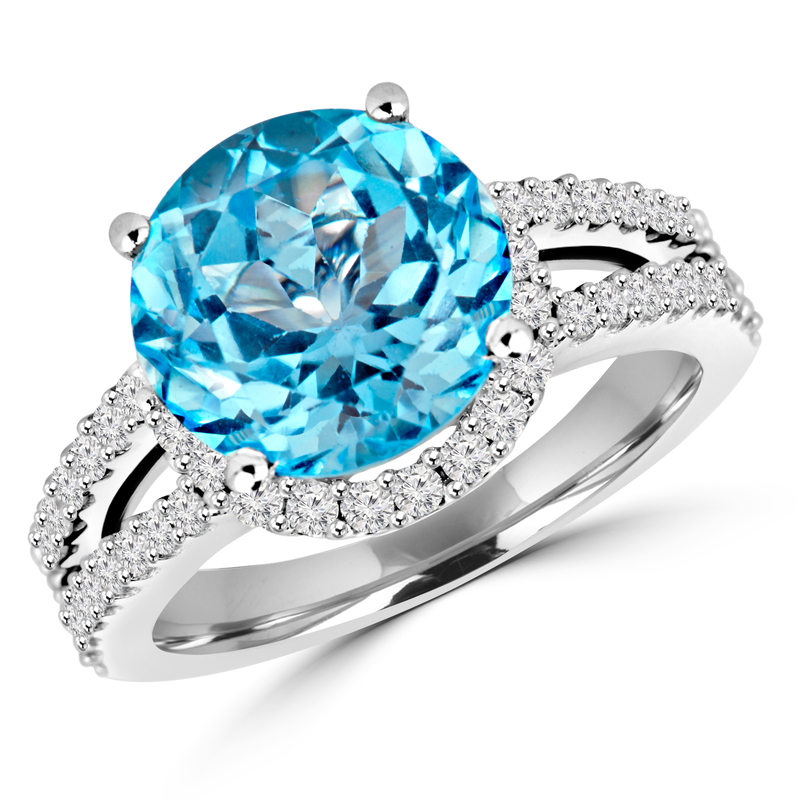 If sapphire is too expensive, you can always opt for a Blue Topaz or Aquamarine gemstone. 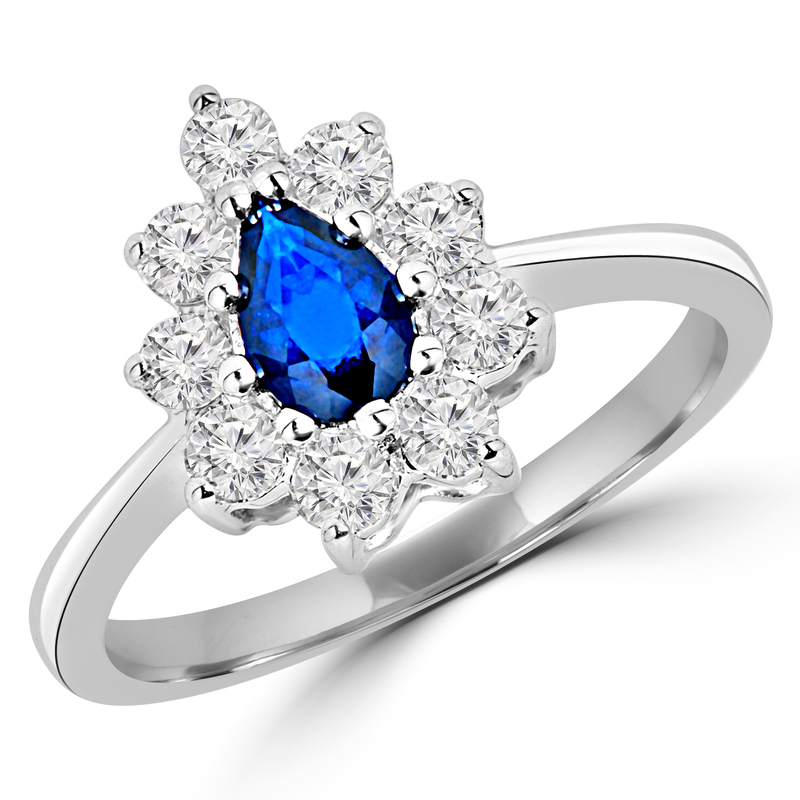 Both are eye-catching alternatives to the popular, albeit costly, sapphire. If pretty-in-pink is your hearts desire, why not go for the lovely Rose Quartz or Pink Topaz as the centerpiece to your ring or pendant? These blushing hued gemstones are just as lovely as the trendy Tourmaline or Morganite, but gentler on the wallet. If having your friends green with envy is what you’re after, then perhaps it’s time to incorporate Emerald into your attire? 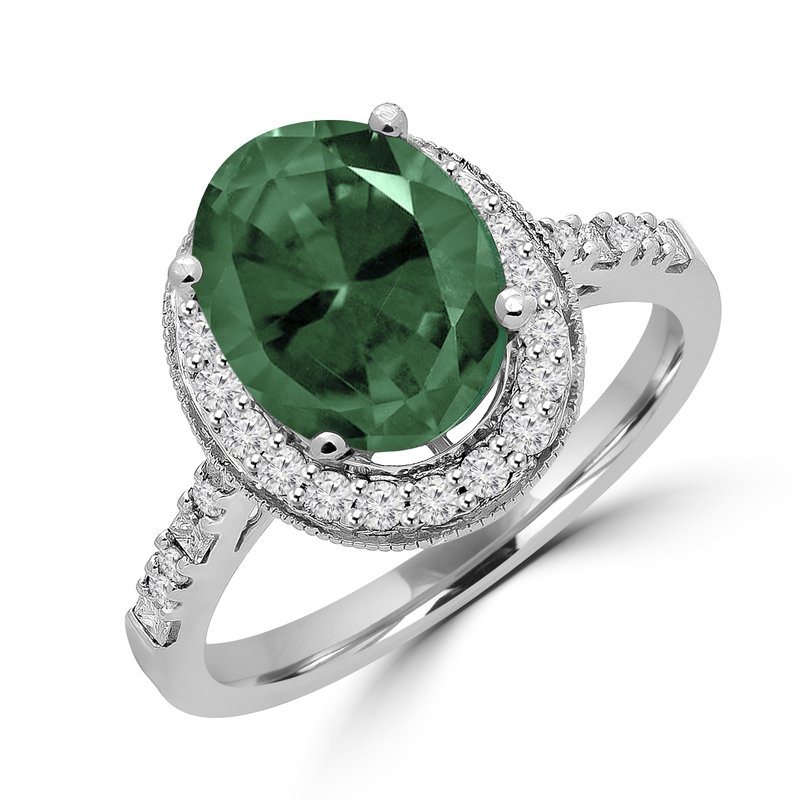 There’s a reason why Elizabeth Taylor coveted the emerald, and that stars like Julianne Moore and Angela Jolie love to adorn themselves in the sultry green gem. Emeralds will get you noticed. If you don’t want to drop a fortune, there are other green gemstones you can turn to for a similar effect. There’s the lighter and fresher Peridot or the bold and attractive Tourmaline, which comes in all shades of green. 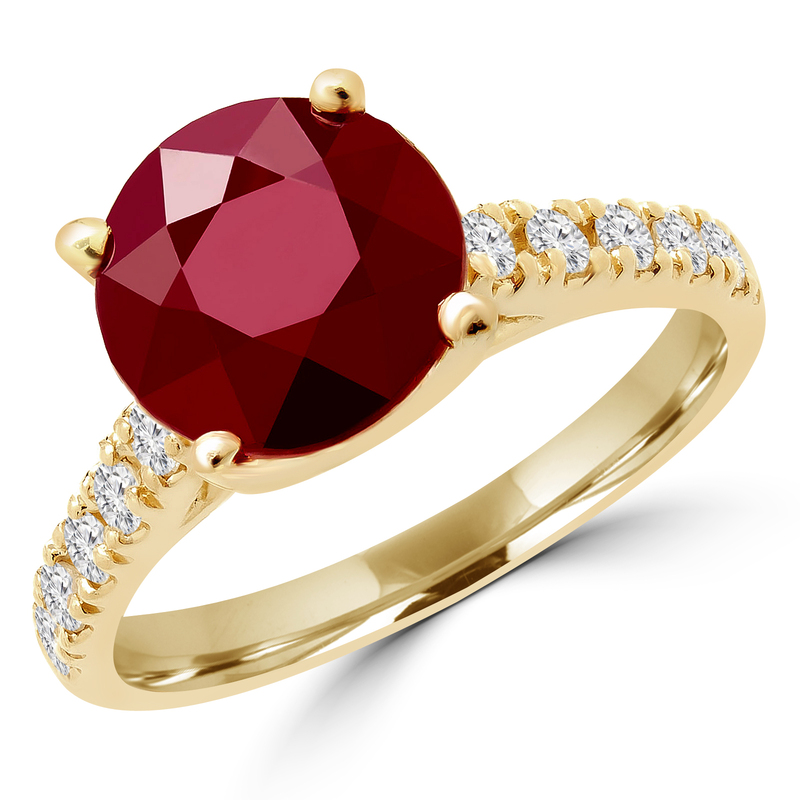 For a ravishing red accessory, the Ruby or Garnet gemstone is a charming choice. The fact remains that the Garnet was the preferred choice for Egyptians. How can you go wrong when you decide to go red? As an alternative to red, there is always the option to go with the mysterious and alluring Amethyst or smoky Spinel. 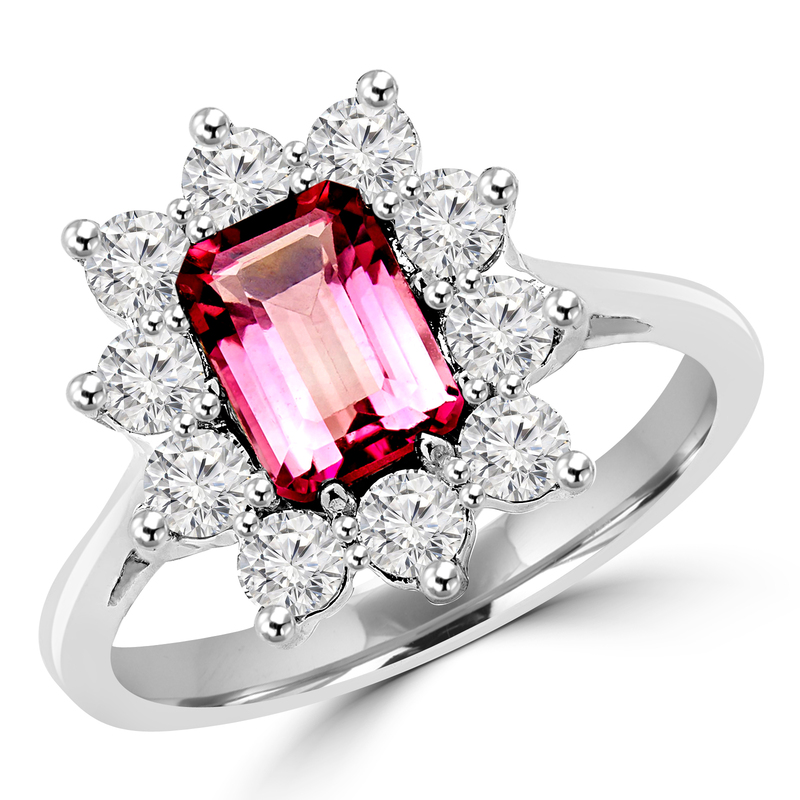 No matter what your taste or budget, there is a gemstone that is perfect for you. And with so many shades to choose from, you are bound to find one in your price range that meets all your fashion requirements. As much as we love white and black diamonds, there is something undeniably special about having a piece of jewelry that offers a vibrant pop of colour and gives an extra oomph to your overall look that a white diamond is incapable of doing.